Guizhou Province Economic Development Zone project construction site to observe the meeting will be held in Xing Fu Xiang Technology park. 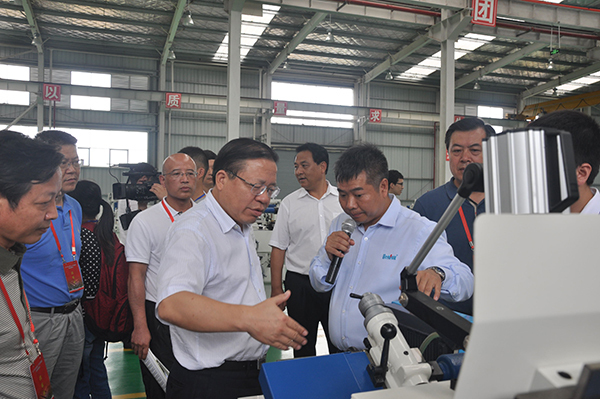 August 17, 2015, the Standing Committee of the provincial Party committee and executive vice governor Qin Rupei and Guizhou Province vice governor Wang Jiangping rate of the province's Three Outlooks round rub into Xing Fuxiang science and technology park visits. When to observe the group walked into Hing Fuxiang equipment science and Technology Park show in mission to observe the immediate is Xing Fuxiang science and Technology Park, the green grass of the garden style factory, patchwork plant, clean the road, busy, orderly production workshop, dressed in uniform clean white uniforms of the workers are working and skilled to operate a variety of machines, the park everywhere showing a thriving fiery scene. To observe the group listened carefully to the chairman of the board of directors of Peng Hongfu, on the other side of the products carefully to visit the company's products and the workshop production situation, representatives of the products, listen to the introduction, ask for details, praise Guizhou Xing Fu management level and technical strength. In the observation, Qin Rupei asked the company's production and management situation, Qin Rupei said: Guizhou Xing Fu Xiang is the province of high-end equipment manufacturing industry, as a high-tech enterprises, the departments should vigorously support, he asked Guizhou to accelerate the development of the rich, and further expand the domestic and foreign markets, increasing technological innovation, for bigger and stronger Guizhou high-end equipment manufacturing industry to make greater contribution. 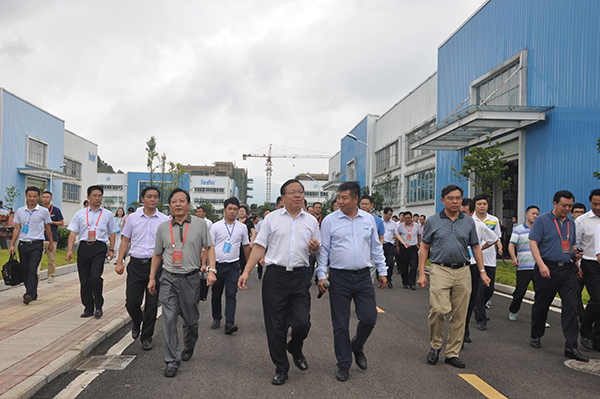 After watching Xing Fu Xiang equipment science and Technology Park end, vice governor Wang Jiangping in his concluding remarks, said: "Danzhai this equipment manufacturing park is a fictitious Park, through the introduction of Xing Fu Xiang, the core of the enterprise, the formation of high-end equipment manufacturing leading industry. This gives us explored a road, 'fabricated' not impossible is entirely possible, also gave us a backward area of the same industry bigger and confidence. "